Ian has been the Chairman and Chief Executive Officer of Warwick since its inception in January 2002 and Chairman of the Warwick EXCO. During his career he has held many key positions and directorships within listed and private companies, based in various jurisdictions including, South Africa, United Kingdom, Mauritius, Guernsey and the Isle of Man. He was the founder and Chairman of the Appleton Group, taking it to its successful listing in 1999. Ian has extensive knowledge of the private client and wealth management industry and has been actively involved in financial services for over 28 years. The Founder and Chairman of the Spirit Foundation, formed in 1994, has enabled him to oversee the education, mentoring and active guidance of hundreds of scholars through their high school years. For further information see iankilbride.com. Marc is the General Manager of Warwick Credit and a member of the Warwick EXCO. Marc matriculated from Paarl Boys High and graduated at the top of his class with Honours in Bcom Financial Management from the University of Stellenbosch. He joined Warwick at the start of 2012 where he started as the Financial Controller of Warwick Services. He quickly advanced within the company and became the National Manager of Warwick Services in October 2013. Marc joined the Warwick Board and EXCO in July 2014 and has since held numerous positions within the Warwick group, including Financial Director, Managing Director of Operations, Investment Management and Wealth Management. Marc’s background and knowledge of the Warwick group and the financial services industry has positioned him well to enhance business prospects and as from 1 October 2017 Marc was appointed as the General Manager of Warwick Credit. 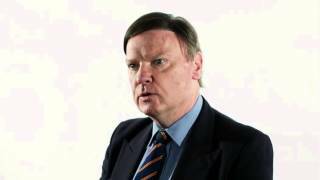 Adrian is the Head of Warwick Asset Management and a member of the Warwick EXCO. He joined Warwick in 2006, initially as an Investment Specialist and was then later appointed as Regional Manager of Cape Town. He has subsequently held a number of key positions within Warwick, he was the Managing Director of Warwick Invest and the Managing Director of Warwick Private Clients where he still remains a Key Individual and approved asset manager. Prior to joining Warwick he was employed at Momentum and has gained international experience at Lloyds of London. Adrian has extensive knowledge and experience in the wealth management industry and has been actively involved in financial services for over 22 years, he has been actively managing private client portfolios since 2006. Tiaan is the Financial Director of Warwick and a member of Warwick EXCO. Tiaan graduated from the University of Stellenbosch and qualified as a Chartered Accountant in 2012. He started his career as an auditor where he gained valuable exposure across various industries ranging from small investment firms to JSE listed companies. Before joining Warwick Tiaan spent five years at Woolworths in the Corporate Finance division , first as Group Accountant and subsequently moved into the Africa division where he played an integral part in growing the business across the continent. He joined Warwick in 2015 where he started as the Head of Finance. Tiaan has a wealth of experience when it comes to dealing with IFRS and Taxation. Tiaan was subsequently promoted to Financial Director at the beginning of 2017. Rudi is the General Manager of the Fiduciary Division and the Head of Compliance. After completing his BComm and LLB degrees through the University of Stellenbosch, Rudi graduated with an LLM degree from the University of Cape Town. Rudi also did his articles of clerkship in Cape Town and was admitted as attorney in February 2014. As internal Group Secretary Rudi sits on the boards of Warwick Portfolios (Pty) Ltd, Warwick Funds (Pty) Ltd, Warwick Wrap Funds (Pty) Ltd, Warwick Specialists (Pty) Ltd, Warwick Consult (Pty) Ltd and Warwick Advisory (Pty) Ltd, Warwick Trust and Administration Services (Pty) Ltd and Warwick Capital (Pty) Ltd.
Conrad is a director of Warwick Specialists and a Senior Wealth Specialist in Warwick Specialists. Conrad joined Warwick in 2009 as a Wealth Specialist and was later appointed as the Regional Manager of Durban, he then went on to be appointed as the Senior Wealth Specialist in Durban. Prior to joining Warwick Conrad was a Financial Planner with a Liberty Life franchise offering holistic financial planning to individuals and businesses. Lauren is the Head of Estates and also sits on the board of Warwick Trust and Administration Services. Lauren joined Warwick in 2016. She originally started her career in deceased estates at ABSA Trust in 2003, where she spent 5 years. She joined Maitland Trust in 2008 and thereafter the Warwick family. Lauren has extensive knowledge and experience in the estates field and takes great pride in what she does. Her and her department of well experienced staff strive to reduce the emotional burden on the families of the deceased during the difficult time one experiences after losing a loved one. Sidney sits on the board of both Warwick Portfolios Pty Ltd and Warwick Funds Pty Ltd. His previous experience included seven years as an IT specialist at Southern Life before moving into Asset Management, operating mainly as a quantitative analyst across both equity and fixed interest markets. He worked as a fixed interest specialist and portfolio manager at Nedcor Investment Bank and Abvest Associates, before joining Trident Capital. Here his duties included specialist fixed interest portfolio management and the development and management of Real Return and Targeted Return products. He joined Lion of Africa in 2010, as their senior portfolio manager, where he was responsible for setting up the functionality of the asset manager within the group. Sidney joined Warwick in November 2013, he holds a B.Sc degree from The University of Cape Town, Diplomas in IS Project Management, Financial Management, and has completed modules in the Capital Markets (Securities Institute-London). with them as dealer and portfolio manager, until he left to join Warwick Wealth in 2013.
as Member of the Institute of Financial Markets. Damascene sits on the board of Warwick Portfolios, Warwick Funds and Warwick Wrap Funds. John has been involved in the international financial services industry since 1985 and was appointed as the MD of Warwick Offshore in 2012. He has previously been the compliance director of a London based private client fund management company, which managed UK authorised unit trusts. He was responsible for all compliance, private client and unit trust administration, dealing and valuations. John has a wealth of experience gained serving as compliance officer for FIMBRA, IMRO and FSA regulated companies. Prior to joining Warwick, John was the compliance director of Turnstone Asset Management Limited, a hedge fund manager regulated by the FSA in the UK. He was also invited by a previous UK regulator, to sit on an advisory panel to help shape UK regulation. John has gained valuable experience by working in international regulated jurisdictions including the United Kingdom, Guernsey, South Africa and Mauritius. Rodney has been directly involved with Warwick since its inception in 2002; both as a non-executive Director, before being appointed to the Board in an executive capacity, as Director of Compliance. Rodney served as the Group Secretary and Compliance Officer at the Appleton Group, prior to which he had held various senior managerial positions at Syfrets Trust, including responsibility for compliance and the management of Trust portfolios. Rodney is a Past Chairman of The South African Institute of Financial Markets; the founding Chairman of The Fund Managers Association of South Africa (FMASA), as well as a founding Director of its successor The Investment Management Association of South Africa (IMASA) and served three consecutive terms as a member of The Financial Markets Advisory Board. He has extensive knowledge of the financial services industry. Steve was one of the original staff members at Warwick, along with Ian Kilbride and Rodney Reid and was appointed as a Director in 2004. He has held various positions within Warwick, including heading up the asset management team and mentoring and training the companies’ investment specialists throughout South Africa. Tim was appointed as independent non-executive Director of Warwick in 2013. A Senior Research Associate of the South African Institute of International Affairs, Tim is CEO of two corporate communications and public affairs companies. Tim has served as a consultant to European, Scandinavian, American and Asian embassies operating in South Africa. A former lecturer at the University of Cape Town and the Gordon Institute of Business Science, Tim has consulted to publicly listed companies in the financial services, banking, mining, manufacturing, retail, and oil and gas sectors. Richard Rattue was appointed as independent non-executive Director of Warwick Portfolios and Warwick Funds in April 2015. Richard has spent many years close to the financial services compliance industry both locally and overseas. Richard is currently the Managing Director of the Compli-Serve Group. He holds an Honors Degree in Business Studies and is a Certified Compliance Practioner of the Compliance Institute of South Africa (CISA) Richard also sits on the CISA Board of Directors and chairs the CISA FAIS & Insurance Executive Committees which interact with the Financial Services Board. Richard is also a regular contributor to the industry press and is the face behind Compliance Corner a monthly compliance column in the popular industry publication Money Marketing.